With all the attention Britain’s in/out referendum received at this month’s IMF Spring Meeting , it could end up being the most important vote of 2016. And in a year that will see the US elect its next president, that’s saying something. Short of having a crystal ball, it’s difficult to know what exactly a Brexit might mean for Britain and the rest of the world. But that hasn’t stopped leaders from weighing in. 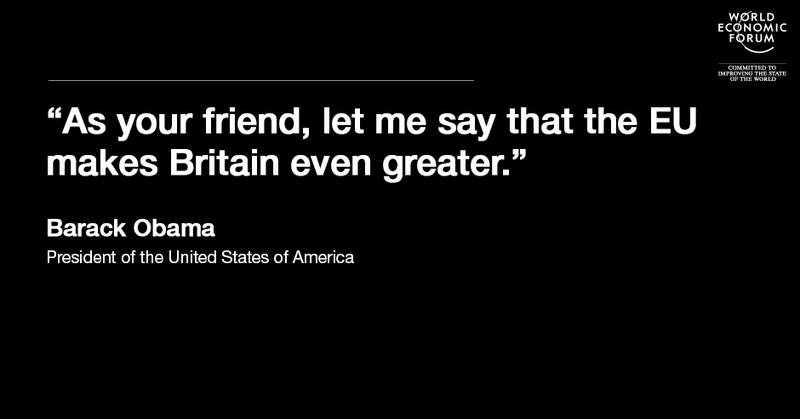 The latest person to have their say is US President Barack Obama, in an Op-Ed for The Telegraph . While his message might be dressed up with references to the “special relationship” and talk of a shared history, the point he’s making is clear: with all the changes taking place around the world, Britain would be foolish to go it alone. Far from dragging the country down, as some “leave” campaigners have been arguing, the EU has been a boon to Britain, Obama writes. It’s an opinion backed up by the UK Treasury, which recently released a report on the economic costs of leaving the EU. According to their estimates, a Brexit would reduce national economic output by 6.2%, costing the equivalent of £4,300 per household each year. 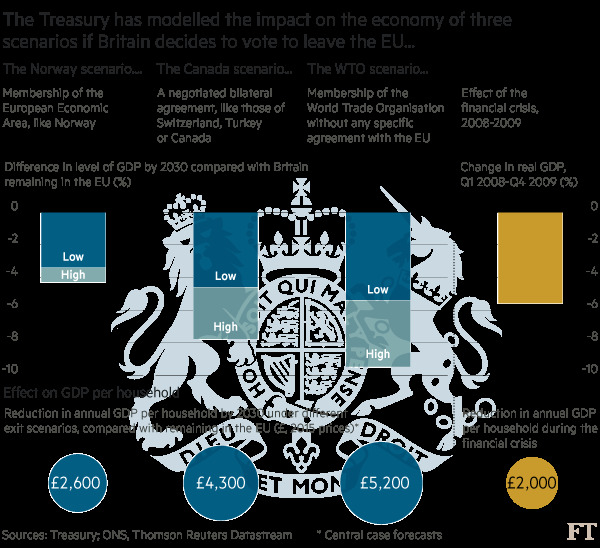 That would make the economic impact of a Brexit higher than the 2008-2008 financial crisis, as this infographic from the Financial Times shows . While those campaigning to stay in the union might be happy with the US president’s remarks, others are not so pleased – including London Mayor Boris Johnson, who described Obama’s comments as “hypocritical”. “The Americans would never contemplate anything like the EU for themselves or for their neighbours in their own hemisphere. Why should they think it right for us?” Johnson said . But as Obama points out in his piece, while the final vote lies with the British public, the repercussions of a Brexit would be felt by the rest of the world.